With a capacity of 8 people, this traditional house offers a large volume allowing everyone to feel it well. On two floors, it has three bedrooms, two bathrooms, three toilets, a kitchen and a large dining room and lounge. Pantry, real first piece allows the storage hardware so that ski bikes or another. Oriented East it is sunny in the morning and part of the afternoon, which is lovely to enjoy the terrace with garden furniture and barbecue. 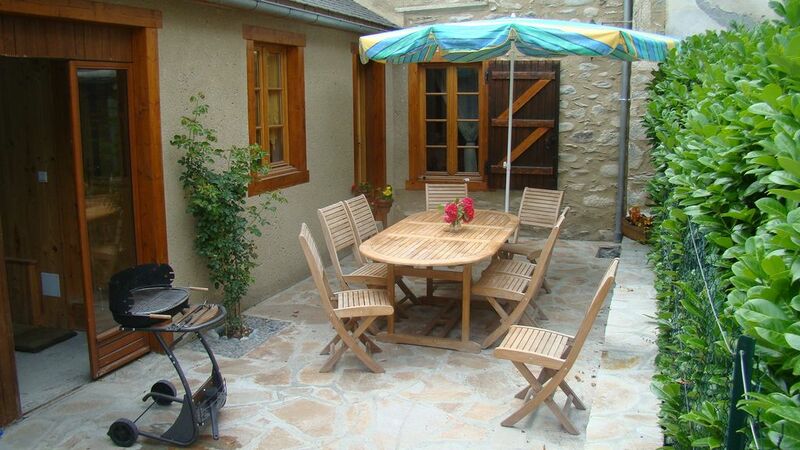 Located in the heart of the old village, the environment is particularly quiet while remaining close (10min walk) from the center of St Lary, famous tourist resort. The ski resort is also accessible via a free shuttle bus which stops right next to the cottage. Nous avons passé un très agréable séjour dans cette belle maison pyrénéenne. Elle a été rénovée avec beaucoup de goût et c'est vraiment dépaysant. Nous avons bien profité de la station de St Lary et de son village qui est toujours très animé. Et nous étions au calme le soir pour dormir. The gateway to the Pyrenees National Park, the lakes of the Néouvielle Reserve, Spain and the Ordesa Park in Spain.